Heat the oil in a medium sized pot (heat number 4 on the stove), and add the sliced onion. You’ll want to fry this until they are golden- dark brown. In a mortar and pestle, combine the garlic, cumin, black pepper and mustard seed and crush to a medium texture. Once the onions have browned, add the spice mix, curry leaves, and break up the red chilli into 1cm pieces and let it all fry for about 2-3 minutes. In a bowl, add the two tablespoons of tamarind paste, and to that, add two cups of boiled hot water. Stir the paste until it dissolves fully. Now, slowly add this tamarind water to the pot of spices and reduce the heat to 3 on your stove. Add the salt and another cup of boiling water to the pot, and let it simmer for another 5 minutes. Garnish with chopped coriander. It does taste better after a few hours. Best served plain- pour a quarter cup into a mug and sip slowly. Make sure to eat all the spices! That is the medicinal part. Another traditional variation is and serve hot over steamed rice and pan fried crispy potato. Perfect for winter! This month has brought in some very sick patients. This has to be the worst cold and flu season I have seen in a few years. Strange symptoms with fast moving disease pictures. It’s especially scary for mother’s with young children as the symptoms progress rapidly. 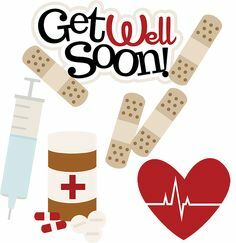 My best advice would be to see a qualified homeopathic doctor as soon as possible, and ask for a few days off for sick leave in order to recover. If the infection gets really bad, a good homeopath will refer you to a GP for antibiotics. AVOID dairy. Bacteria love dairy as it provides nutrition for them to thrive! Dairy also amplifies the production of mucous in the body. Please try your best to avoid milk, yoghurt, cream, etc. AVOID sugar. This is the obvious sugar (as in the granular type you sprinkle over everything), as well as added sugars in foods we eat- tomato sauce, prepacked foods, cereal’s. This also includes wheat products- white or brown. These are simple sugars that break down into simple glucose sugars. Unfortunately this may be difficult to avoid… but try your best. Sugar puts a huge strain on our immune system (read this article I previously wrote on sugar: https://yeshthehomeopath.wordpress.com/2014/08/19/how-junk-food-and-sugar-affects-weight-gain/) and actually dampens our recovery process. AVOID sugary medicines. I am also not a fan of cough mixtures and lozenges as they contain high amounts of glucose. Please read the labels to see if there is sugar in the content. Opt for natural cough mixtures a nd natural lozenges that are sugar free. Be aware of the addition of artificial sweeteners as well to these ‘healthier’ options. This must be avoided as their nutritional content is zero, and they only add to the toxicity in our bodies.You will easily find sugar and artificial sugar free products in a health shop. AVOID alcohol and caffeine. Alcohol and caffeine both dehydrate the body, slowing down other bodily reactions and weakening the immune system. Water is essential for almost every chemical reaction in the body, so when your body is under strain with a disease, every little bit of water counts. Your body also uses a lot of water to temper your fever… so give it what it needs. INCREASE your sleep. I find ‘enough sleep’ is a relative term in today’s modern lifestyle… However, when you are sick, there is no way for your body to recover if you don’t get downtime. During your sleep cycle, the body gets an opportunity to detoxify as well as regenerate. This is when the parasympathetic nervous takes over and nurtures your sick body. Also, I’m sure you already feel sleepy and listless, so learn to listen to your body and please do get at least 10-15 hours of sleep in a 24 hour period in order in order to recover quicker. You will probably relish it too. 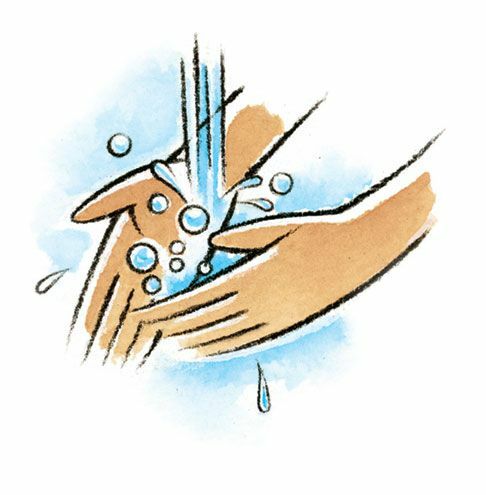 WASH your hands regularly. I know this may sound basic, but many people easily forget this, more so when you are sick! So, after you blow your nose, wash up. If you sneeze of cough, AVOID doing so in your hands. It is an art to practice this, but allow your cough/sneeze to fall into your inner forearm/ inner elbow as you block. This will avoid germs on your hands, and prevent you from spreading it around your home and office. Be conscious of the way we potentially spread germs in an environment, and by no means am I promoting O.C.D like behaviour! AVOID gym and strenuous exercise. This relates to the sleep point. Allow your body some down time and let it recover without being put under more stress. Gym’s also are a huge breeding zone for bacteria and viruses, so best to avoid this place until your body is stronger. A hot toddy- See recipe on my blog! And last, but not least, replenish your spiritual reservoir as you feel your body starting to recover. I recommend visiting your reiki healer for a healing and recharging session. If reiki isn’t your thing, go for a soothing aromatherapy massage to help push out the last bit of toxins into your lymphatic fluid, so you can aid the detox process.